Dressings: Ranch, Bleu Cheese, Creamy House Balsamic Vinegarette, Sun-dried Tomato Basil, Parmesan Peppercorn, Caesar, and House Italian. 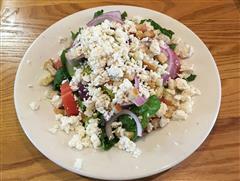 Add Extra dressing for $0.50 Add chicken or tuna to any small salad for $0.99 or large salad for $1.99. 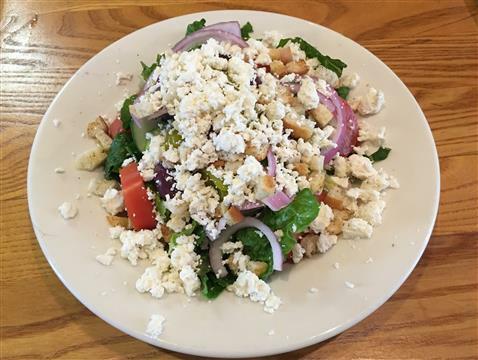 Romaine, tomato, cucumber, onion, feta, and croutons. Croutons are for large only. 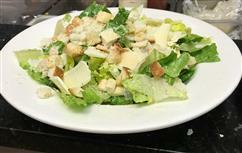 Romaine, tomato, cucumber, onion, feta, pepperoncinis, olives, and croutons. Romaine, ham, turkey, roast beef, provolone, tomato, cucumber, onion, and croutons. Fresh spinach tomato, cucumber, onion, bacon, parmesan blend, and croutons. 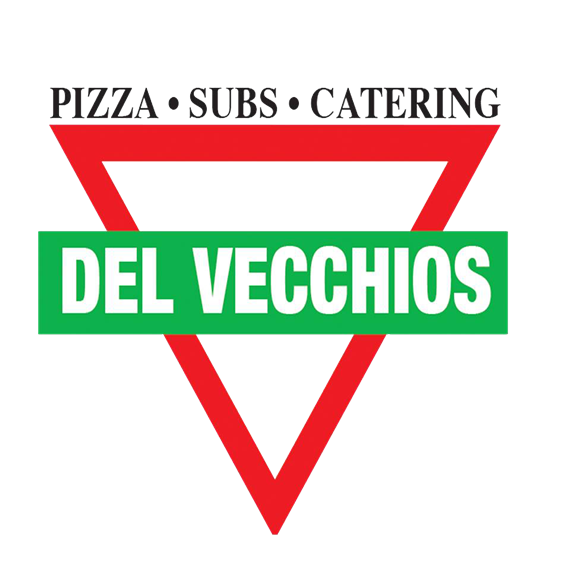 Romaine, ham, salami, pepperoni, provolone, tomato, cucumber, onion, and croutons. 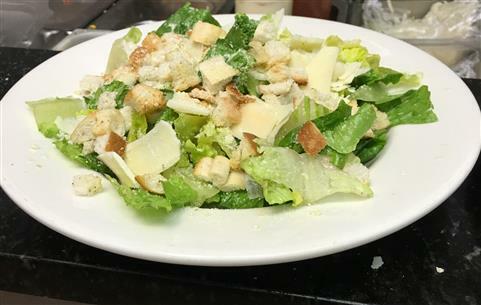 Romaine, parmesan blend, and croutons.